Singapore has enjoyed many years of racial harmony. This harmony was hard to come by and is even harder to maintain if not for the mutual understanding, tolerance and respect among the different races. Therefore, Metta School found it pertinent to commemorate Racial Harmony Day by educating our students with some knowledge about the different cultures and have them appreciate the cultural and traditional practices that the different races in Singapore follow. Racial Harmony celebrations started three weeks before the actual commemoration on Thursday, 20th July 2017. The students were assigned art activities which were conducted during CCE lessons. The older students penned down how they could promote racial harmony in school. While other students used different art medium to decorate their art pieces depicting the four races in their traditional ethnic costumes celebrating the different festivals. It was heartening to see students guiding their less abled peers and working together to complete the artworks. All the art pieces were then collected and displayed at the school hall and the school notice board where everyone in school could enjoy. 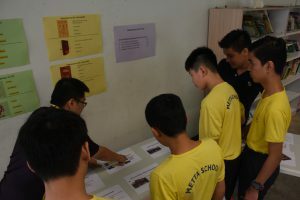 Besides the art activities, the CCE teachers also shared information pertaining to traditional costumes, festivals, food and places of worship with their students via power point slides created by the Racial Harmony Committee. Students were given short quizzes based on what they have learned from the slides. Assembly talks for the students in the afternoon session were conducted to reinforce what the students had learnt during CCE lessons. 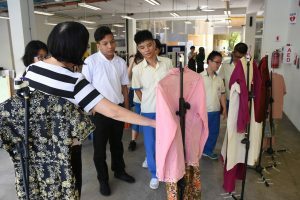 On 20th July, students went on a heritage trail, visiting exhibition booths which featured the following themes: Traditional Costumes, Festivals, Food and Places of worship. 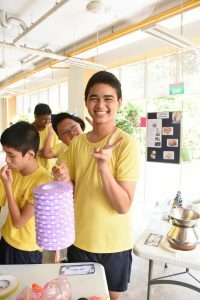 At the booth showcasing religion and places of worship, authentic religious ornaments were displayed for pupils to touch and feel. Photos of places of worship which included the description of these places were also displayed for students to look and read. At the booth showcasing the following festivals; Lantern festival, Hari Raya Puasa, Thaipusam and Christmas, students enjoyed themselves playing with the paper lanterns which were lit with battery-operated candles. 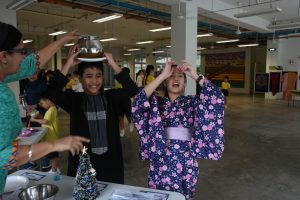 They also had fun slotting in fake money into green packets used during Hari Raya Puasa celebrations and balancing milk pots on their heads, a traditional practice during Thaipusam. At the booth showcasing the four ethnic food dishes, the committee displayed the following food; nasi lemak, Chinese popiah, nasi biryani and lapis sagu. The teachers explained to students how the food was cooked. 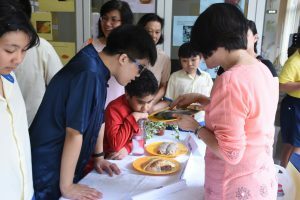 Students got to know more about the dish eaten by their friends from another ethnic race. 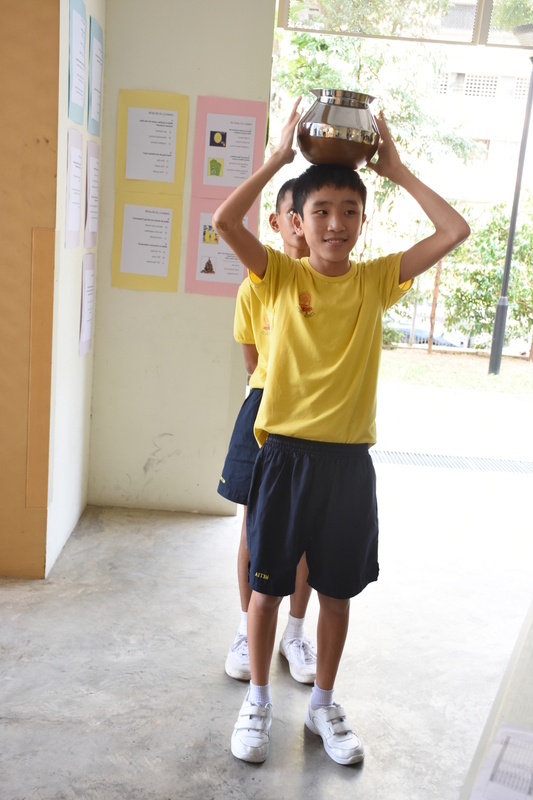 They also learnt a bit about the history of the food. At the booth showcasing traditional costumes, the committee had displayed ethnic costumes like Baju Kebaya, Baju Melayu and Qi Pao. 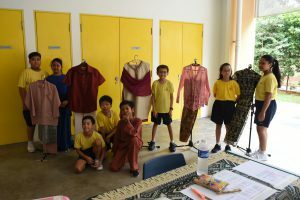 Students were able to feel the fabric and admire the vibrant colours and patterns on the costumes. They learnt to appreciate the costumes worn by the different races. Some of the students came to school in their traditional costumes on that day and they learned more about their own traditional costumes. Students were happy and excited when they received tokens after giving correct responses to the questions asked by the staff on duty at the respective booths. 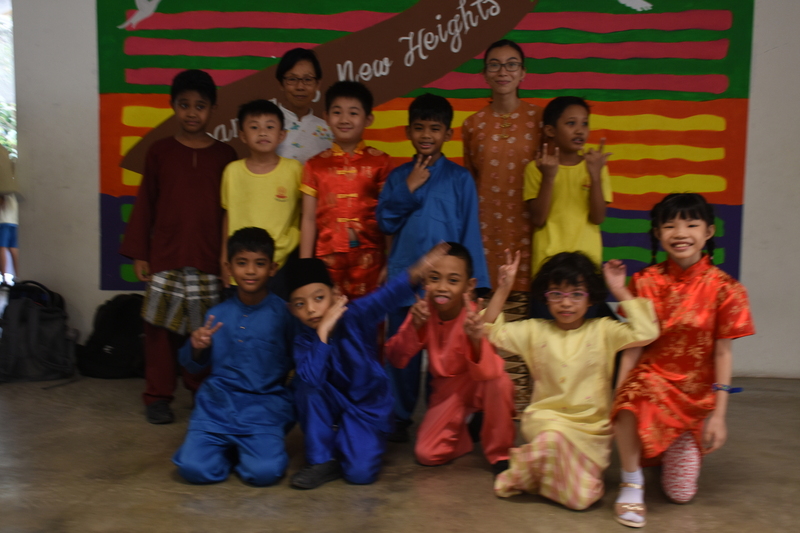 It was indeed an enjoyable and meaningful Racial Harmony celebration for our students!